As well as the music telling us when to play and for how long we also need to know when to take a break and don’t play anything at all. This combination of playing and not playing makes the music much more interesting by creating so many more possibilities. 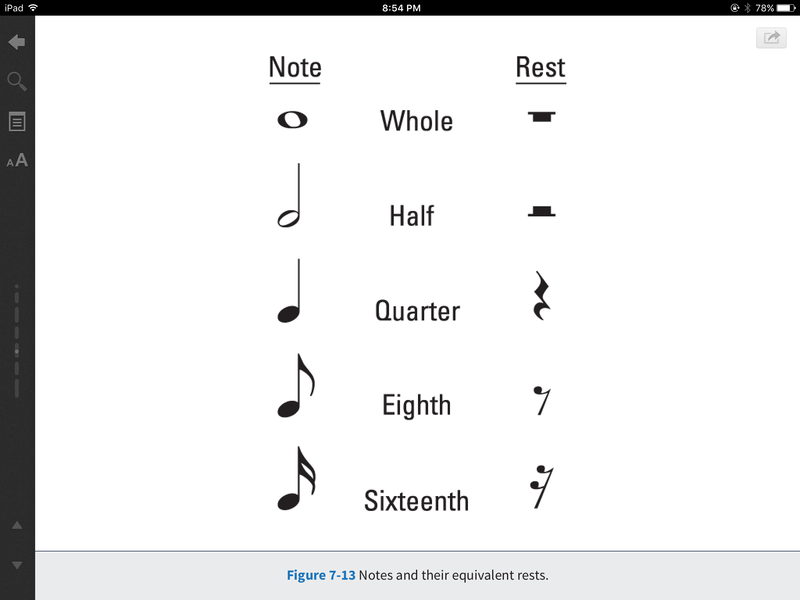 A musical rest is therefor a notation which tells you how long not to play until the next note comes along. Sometimes the rest is long and sometimes quite short. Again the same goes as with the notes. We can cut up one measure into smaller pieces. 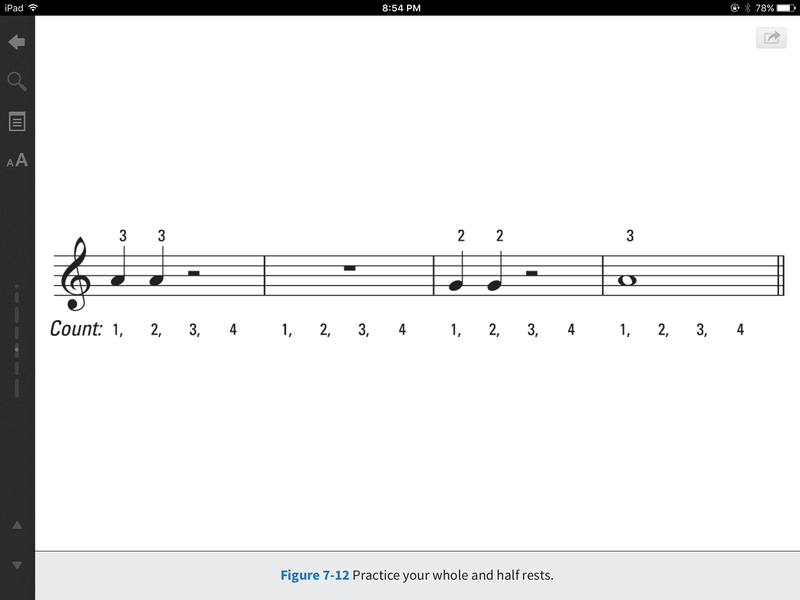 If you saw a whole note F you would play an F and hold it for four beats. For a half note you would play and hold for two beats. 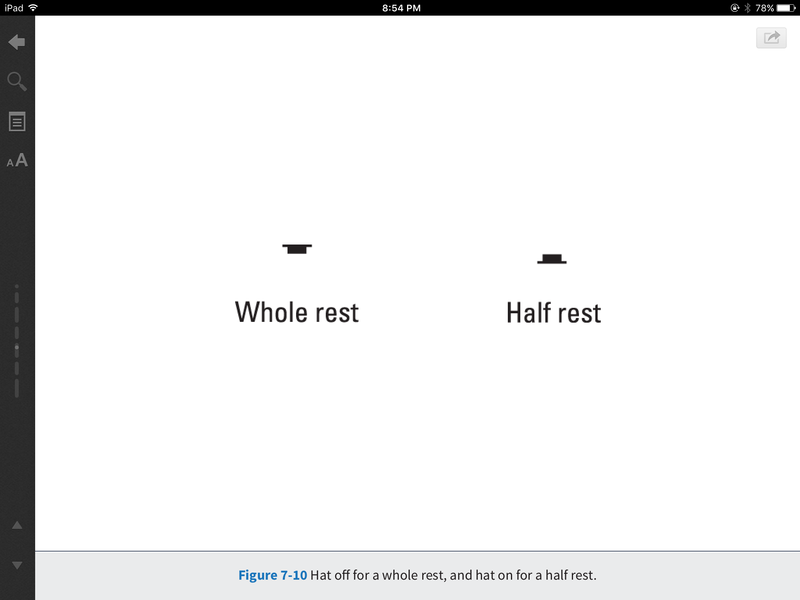 The whole and half rests work the same way. Many people think that the notations for these two rests look like hats. Try to play the following while counting out loud. Be sure to hold the notes for the right number of beats. 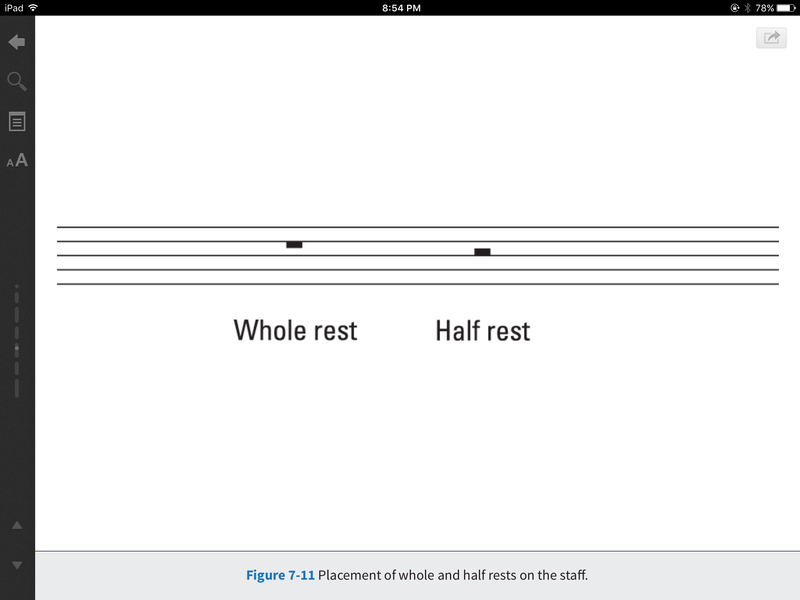 BELOW is a chart with the note values and their rest counterparts.